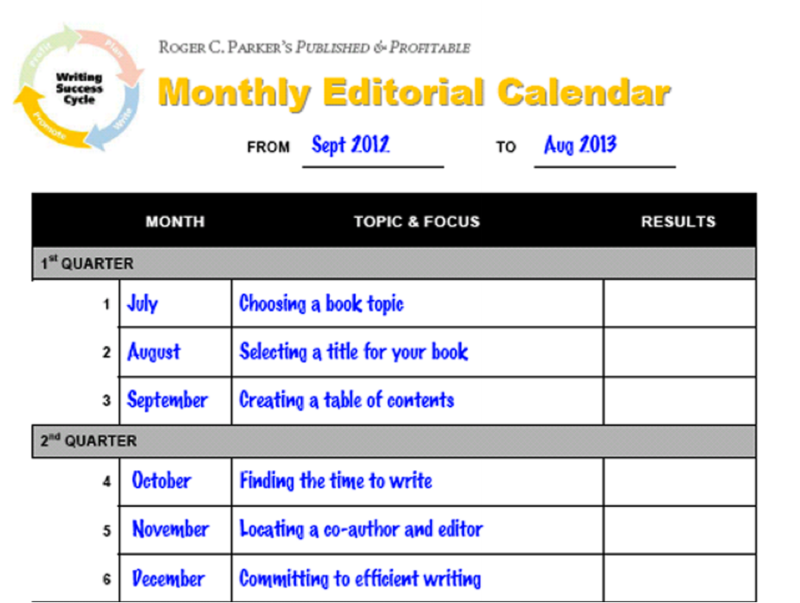 2016 Editorial Calendar Templates. The All-Inclusive List. If you’re responsible for content within an organization, you need to plan out content for the upcoming weeks, months and year. This helps build alignment between teams and also keep writers accountable for their work. 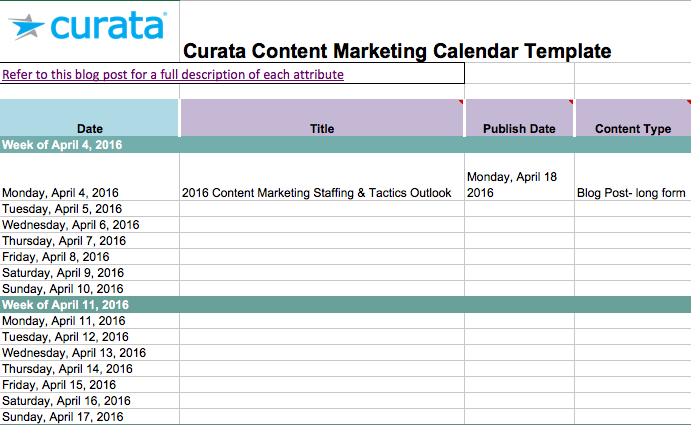 Based on Curata research, 90% of marketers are now using an editorial calendar. 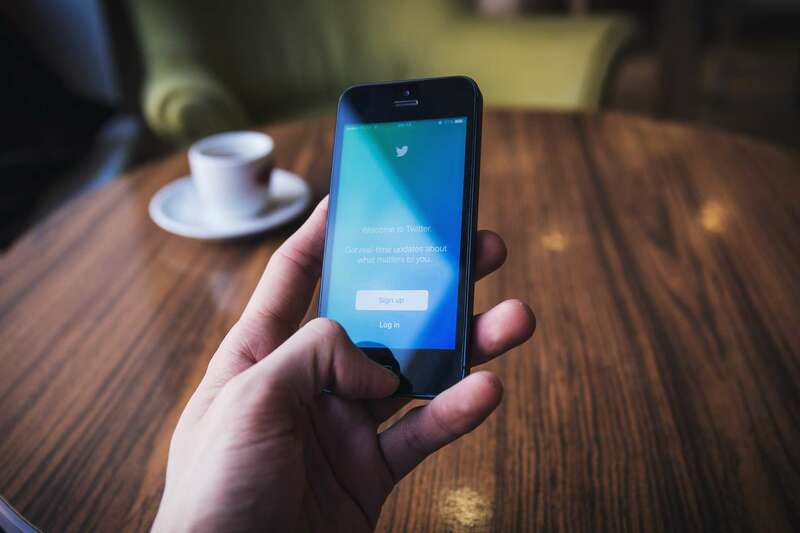 For high quality content marketing software with top-of-class calendar functionality, workflow and analytics, the Curata CMP content marketing platform is one of several options available on the market. There are also several excellent free templates available – included below. The following table lists the creator of the template, the format (Microsoft Excel, Google Sheets, WordPress plugin or PDF) and the accessibility (gated or un-gated). This will help you choose a template based on your preferences. Originally published by Mitchell Hall at Curata. Edited by Oleksiy Kuryliak. This template has 12 different fields, which you can learn more about in this step-by-step process to creating an editorial calendar. Detailed instructions, steps and suggested meta tags are provided for each field as well as links to additional resources. This template lists a week’s content on each tab, allowing a lot of room for details such as keywords, personas and calls-to-action. Look at the year ahead with this template which lets you see several months at once, along with a tab called “Content Repository” to dump ideas in. This template separates each month onto a different tab, along with a tab for “Content Inventory” to keep track of published pieces. This provides a standard calendar plus a high-level road map to view large events throughout the year, such as product launches and conferences. This color-coded template offers both a month-to-month view and a view showing an entire year overview. This spreadsheet simply lists each piece of content in chronological order and suggests filling in several categories, such as audience, media, keywords and tags. This week-by-week spreadsheet also includes a tab to track URLs of content to enable campaign tracking. If you work at a small business, this basic template also comes with a small business marketing guide, including a general marketing calendar. This spreadsheet allows you to categorize content in a number of ways, including keywords, status, topic, talking point, and due date. 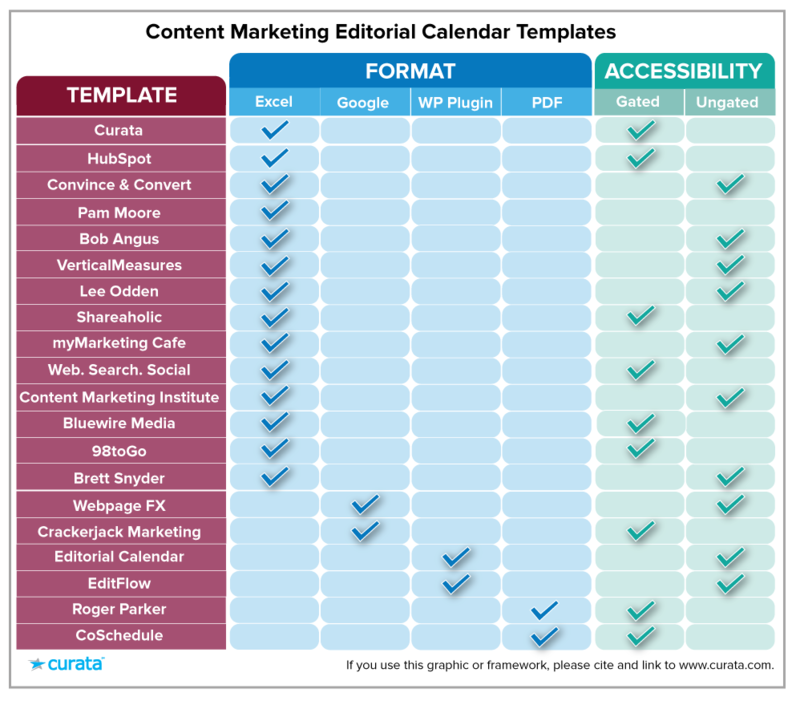 CMI’s template includes a general marketing calendar, an editorial calendar with a week-by-week view, and a spreadsheet to dump all blog post ideas. This template provides a color-coded key to categorize pieces of content by stage such as pending, planned, or published. In addition to a basic editorial calendar, this allows you to track assets by type (such as blog post, ebook) and by buying-cycle stage. This template is chock-full of examples and provides plenty of space for detailed responses in the many categories such as subject, focus keywords, key elements and sources. For Google spreadsheet lovers, this is a robust template that not only tracks pieces of content week by week, but also gives space for ideas and downloadable assets. Another option for marketers already using Google Sheets, this template has a section specifically made for measuring content performance. If you’re a WordPress user, this is a great way to look at upcoming posts in a month-to-month view. It’s also highly adaptable — you can drag and drop unpublished pieces onto new dates and months. Similar to EditFlow, this tool allows you to look ahead at all scheduled blog posts in WordPress and also quick-edit titles and times within the calendar. Like to have your calendar printed out so you can scribble all over it? Download this template, which maps out an entire year. Another option for printing, this calendar also comes with an eBook detailing the benefits of using an editorial calendar. 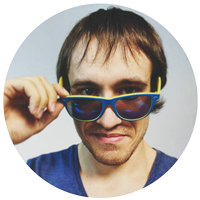 Looking for something more or for a custom made editorial strategy? 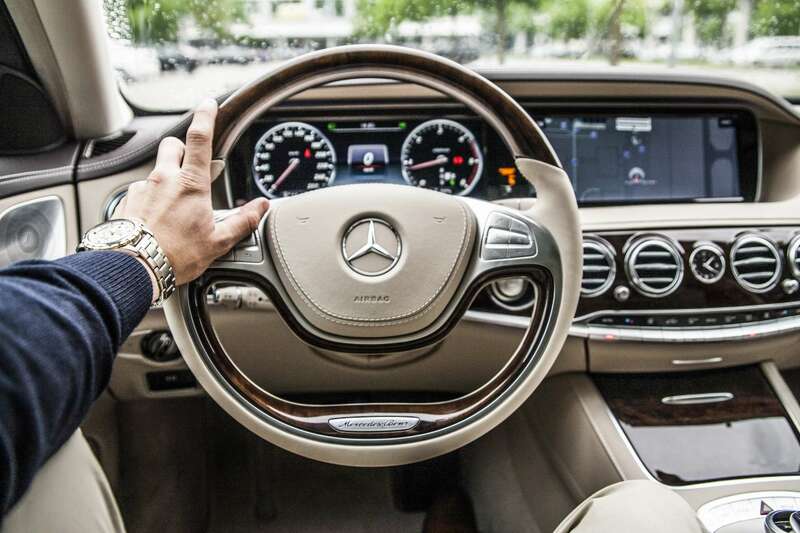 Talk to Marketing Consultant. Previous Post (p) 8 Friday Quotes for Business Motivation.